The flag of the Central African Republic is a mix of colors derived from France and Panafricanism. 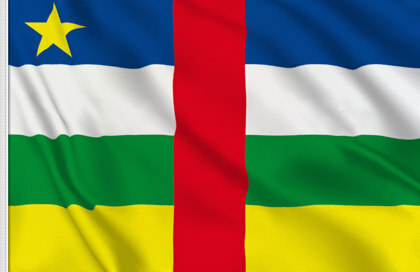 There are 4 horizontal bands: blue, white, green and yellow crosed by a red vertical band symbol of the Central African People's blood shed to protect the Central African Republic, member of the French Community. Price Alert "Central African Republic Flag"?